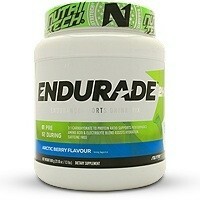 Nutritech Endurade Sprint is an excellent supplement for endurance athletes competing in shorter sprint distance sports. Endurance sports athletes sometimes need something that packs more punch than a standard endurance drink. Each serving provides 100mg of Caffeine and 1000 mg of Beta-Alanine. The Sprint formula contains the same ingredients as the original Nutritech Endurade 2HRS+ with the addition of Caffeine and Beta-Alanine. Caffeine is a known stimulant for enhancing athletic performance when used before and during exercise as well as improving mental function such as focus. The main cause of muscle fatigue and soreness (DOMS) is the build-up of lactic acid. Beta-Alanine increases muscular carnosine levels which acts as a buffer against lactic acid build-up. Research has show that when Beta-Alanine is taken before exercise that is can significantly improve VO2 peak, Time To Exhaustion and promote explosive energy through Nitric Oxide (N.O.) production. 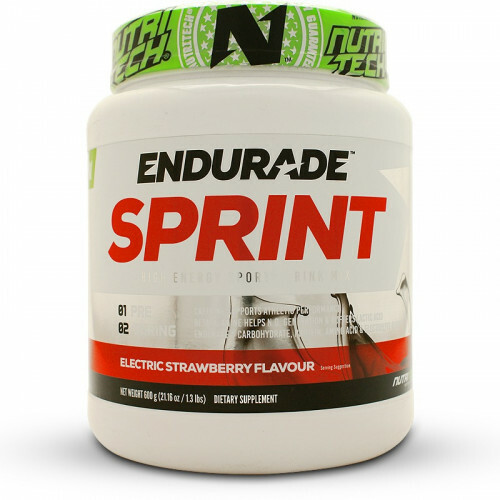 Nutritech Endurade Sprint compliments Nutritech Endurade 2HRS+ by giving athletes an explosive burst of energy for shorter distances. Maltodextrin, Dextrose, Whey Protein Concentrate, Amino Acids (L-Glutamine, L-Taurine, L-Glycine), Beta-Alanine, Di Potassium Phosphate, Sodium Chloride, Silicon Dioxide, Calcium Ascorbate, Potassium Chloride, Magnesium Oxide, Caffeine Anhydrous, Chromium Citrate, Flavouring, Colourants (E124), Non-nutritive sweeteners; Sodium Cyclamate (E952), Sodium Saccharin (E954) and Acesulfame Potassium (E950). Manufactured in a facility that uses eggs, dairy and soy. • Mix 1-2 scoops (30-60g) with 250-500ml of water (room temperature). 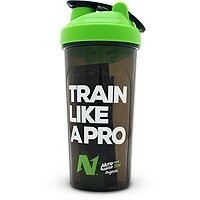 • Shake thoroughly and drink immediately and/or intermittently during exercise. 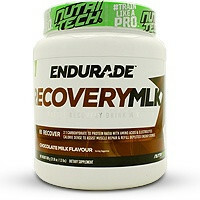 • Consume a serving after training or competition for rehydration and recovery. Regular training and proper nutrition are essential for achieving your goals. This product is not intended to diagnose, treat, cure, or prevent any disease. Consult your doctor prior to using this product especially if you have any suspected or known medical condition. Very Tasty not too sweet at all/Very effective/Long Lasting Energy/Takes 10 Minutes to Kick In/The fact that it as electrolytes are fantastic.It doesnt have too much Caffeine/The amount of Beta Alanine is too low even with 2 scoops 2 grams is nothing but otherwise great product that keeps you pushing.